Australia and Canada—what price defence? Australia and Canada have similar defence problems. Both have a continental area to surveil and defend; and both front onto three oceans, while having to build their defence forces from the resources of relatively small populations. And both have made remarkably similar investment decisions in the past (see table). Sources: World Bank, budget papers, IISS Military Balance 2014 Strategic Outlook for Canada 2014/15. The funding trajectories and health of the two militaries has also been similar over the past 25 years. The capability of the Australian Defence Force (ADF) ran down considerably in the 1990s as a consistently flat budget profile eroded buying power. Then, after just squeaking through the East Timor operation in late 1999, the government saw fit to deliver a substantial funding boost in the early 2000s. Likewise, the Canadian Armed Forces (CAF) lacked funds to even sustain the force in being during 1995–2004, and significant force structure shortfalls appeared. A 2015 Parliamentary Budget Officer (PBO) report into defence funding  (PDF) noted that the funding across that decade fell short by C$13.4 billion, resulting in the ‘hollowing out’ of the CAF, and a ‘shortage of trained personnel, loss of airlift and surveillance capability in the Air Force, loss of command, control and air defence platforms in the Navy and loss of direct and indirect fire capabilities and wheeled logistics vehicles in the Army’. In response—much like in Australia—defence funding was ramped up in 2005, with approximately C$20.9 billion beyond the ‘tread water’ level being provided, which allowed many of the force structure and readiness deficiencies to be addressed. But while there’s been a close parallel between the two countries’ approach to defence in the past, the future looks different. Australia’s government has a policy of increasing defence spending to 2% of GDP by FY 2023–24. If that promise is kept, by Mark Thomson’s estimates  (pp. 129-131) as much as an extra A$61 billion will be made available for capital investment over the next decade, even allowing for greater than inflation increases in personnel and operating costs. In Canada, however, the situation looks much bleaker. In response to calls for greater spending, the Canadian government announced in its 2015 budget that it would increase the defence budget by 3% nominal each year, starting in 2017/18. Assuming that background inflation doesn’t rise over 3%, at least it’s a real increase, but it won’t be anywhere near enough. The PBO’s future projections suggest that there’ll be a shortfall of at least C$30 billion over the next decade. That would be bad enough if Canada was able to soldier on with its existing materiel. But the CAF needs to recapitalise many of its frontline assets, including its ageing CF-18 Hornet strike fighters . (Australia is spending about A$20 billion to replace its Hornets.) Similarly, the Canadian Air Force would ideally like to replace its CP-140 Aurora maritime patrol aircraft . Australia has already signed deals to replace its similar AP-3C Orions with a mixture of P-8 Poseidon and MQ-4 triton aircraft, at a total approved cost of around A$7 billion. Bluntly put, Canada won’t be recapitalising its aircraft fleets with the sort of money likely to be available. And even upgrades to keep the current fleets flying would have to be marginal propositions. It’s the same story at sea—it’s hard to see Canada replacing its submarines, for example. Given the remarkable similarities between the current and past trajectories of Australian and Canadian defence funding, it seems odd that they’re now diverging so markedly. Of course, plans are plans, not reality. 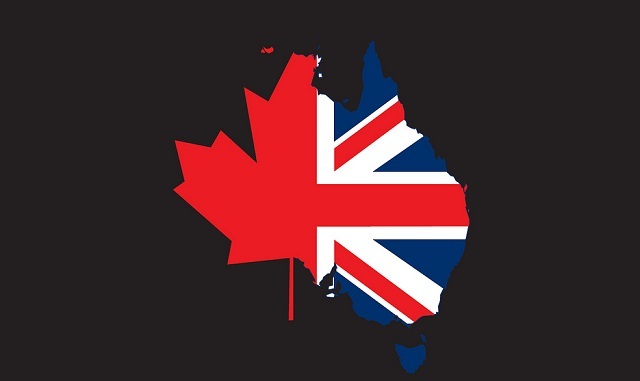 Canada could change its mind as the realities of the current abstemious policy sink in and a future Australian government could decide it has better things to do with 2% of GDP. The answer might lie in each country’s assessment of its security. One very substantial difference between Australia and Canada is geography. One has an alliance and a long land border with the United States, and the other only an alliance, being at the end of long lines of communication. All other things being equal, Australia has to work harder at alliance maintenance than Canada to be sure of its security guarantee. That probably explains the existing difference in government spending priority, shown by the commitment of just 1% of GDP on Canada’s defence but up to 2% for Australia. There’s also the China factor. The security situation on the western side of the Pacific is less sanguine than to the east and Australia is more alarmed than Canada. If it’s serious about fixing the looming defence funding crisis, perhaps Canada needs to learn to worry a bit more. This post is abridged from an article in the Summer 2015 edition of On Track  (PDF), the journal of the Conference of Defence Associations Institute, Canada. Andrew Davies is senior analyst for defence capability and director of research at ASPI. Edited image courtesy of Flickr user oz dean.